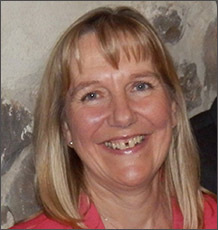 Anita joined Professor Andrew Hattersley's research team in 2003 and her current role involves, costing, working up and managing research projects, mostly related to diabetes. She currently manages the StartRight diabetes project for Dr Angus Jones: A multicentre observational study, currently recruiting at >50 UK sites, which aims to achieve more accurate early classification of diabetes. In addition, she manages the JDRF funded TIGI study, investigating the mechanisms of persistent C-peptide secretion in Type 1 diabetes, and is setting up the ICCD study (Improving Clinical Care in Diabetes) which aims to determine the clinical, biomarker and genetic predictors of diabetes progression. Based in the NIHR Exeter Clinical Research Facility (CRF), Anita also coordinates the management of data for the CRF core research cohorts (Exeter 10 000 and DARE) and works closely with research colleagues in primary care. Before joining the clinical research team in 2003, Anita coordinated auction sales of commercial & industrial plant, machinery and vehicles.